It seems that the stiff upper lip of yore has recently been replaced by a trembling, somewhat flabby chin. All too frequently these days, we are beset by the embarrassing sight of some government minister or employee, grovelling in front of the media, humiliating themselves beyond belief, and blurting out great swathes of emotive apologies. Not only that, but this trend has somehow managed to filter down into all echelons of society, where we find the most elevated, to the most humble in the land, expressing their sincere regrets for, well, almost anything. 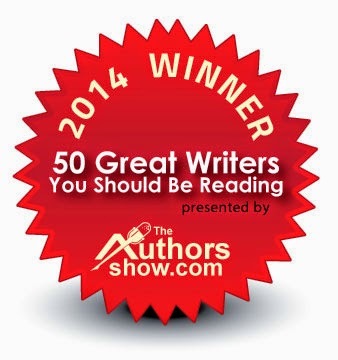 I would like to say at this point, that I have no intention of apologizing, for anything I am about to write in this article, well, not yet anyway! Mind you, there are those who should unquestionably apologize to all and sundry, who don’t, often describing their own behavior as inappropriate; a watered down version of saying they are sorry. So, who are these people, and why do some express their regrets in this way, whereas others, definitely do not? The first place goes jointly to Donald Trump and Boris Johnston, who in their current destructive state, have managed to upset the establishment they claim to represent, as well as their political bedfellows. In olden days, they would have been described as traitors to a cause, but today they are apparently able to say anything they want, in order to appeal to the rednecks and the Philistines, in their respective societies. 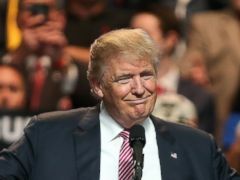 Certain oafish, belligerent and often quite insulting statements, might serve to confuse some observers, but Trump; with his virtual support of The Klu Klux Clan, has irritated certain ethnic minorities in the US – a country traditionally made up of immigrants of all faiths – whilst garnering the votes, and succeeding it seems, of the most bigoted and racialist members of North American society. Will he ever be forgiven by Middle America and will an apology be enough? Boris, on the other hand – incidentally, a man of Turkish origin – has been more subtle in his approach. He has managed to convert himself into a kind of Bulldog Drummond character; an old fashioned English stereotype. This he has done, whilst trashing many in his own political party, his original front bench cabinet supporters - who now plainly see him as a loose cannon - and may later perceive him as a little treacherous, into the bargain. Observing his Cornish Pasty waving and popularist antics - as a means to an end, in his quest for the Tory party leadership – who is he going to apologize to, when he falls flat on his face? 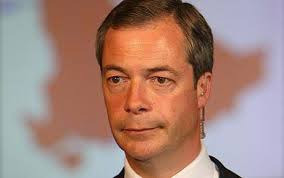 With a bit of luck, his face might still be full of Cornish Pasty, which - according to an EU directive - has recently received a new recipe from Brussels. The second joint contenders are Nigel Farage and Hillery Mantel. Hilary Mantel said, two years ago, that Prince William’s wife - the Duchess of Cambridge - was a bubble headed Barbie Doll, who she branded as a 'shop-window mannequin with a plastic smile, whose only role in life was to breed.' Now let me see if she is right! What I will do is to clear all the things off my mantelpiece to make a bit of space. Right, I have done that, and now I am going to put two photographs - that I just happen to have - one of Hilary Mantel and the other of the Duchess next to one another on the mantelpiece and have a long look at them both. The first one is of Kate, the Duchess of Cambridge at her wedding, and the second is of Hilary Mantel receiving a Booker prize. Now let me think! Which one would I prefer, there is only room for one photo? The first one is of a young woman looking happy at her wedding to Prince William and the other is of a rather smug looking person, with a funny face, receiving a literature prize. I shouldn’t wonder if she will have to apologize for some of her unkind remarks, at some point. No! I am sorry Hilary, but you will have to go. Call me old fashioned if you like, but if I had wanted to be surrounded by gargoyles, I would have bought a gothic castle in Scotland, from the proceeds of sale, of my various books, which I am still desperately trying to sell. Now what shall I do with the photo of this woman with a rather physically challenged ‘boat race?’ I know, I will put it together with another rather unattractive photograph, I just happen to have, of Nigel Farage. They seem to have quite a lot in common one way or another, so they will probably get on quite well together, if I stick them both in a box in the loft. 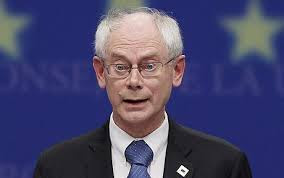 He said some very personal things about poor old Herman van Rompuy’s looks – one day at the European Parliament – implying that, not only was he funny looking, but he was a bit of a useless git as well. But we all know who the useless git is, don't we? That’s right, it’s good old Nigel himself. I can’t think why they pay him to be an MEP, if he wants to abolish the European Parliament? I wonder if he feels like apologizing, I know that I don’t? PS. If you feel like apologizing about anything at all, please do so in someone elses blog!